No one has time for a cold and all the unpleasant symptoms that go along with it. When you’re hit by a cold that lays you low, fight back and beat it so you can feel better in just 24 hours. Zinc can have a powerful effect on cold symptoms. As the cold symptom, begin taking a zinc supplement to help your body fight the infection. You should notice that you recover more quickly and that the cold doesn’t become as severe with zinc in your system. Using a saline solution in your nasal passages can reduce unpleasant congestion and a runny nose. Saline solution works by loosening dry mucous in your nose. It also thins mucous, which will enable you to blow your nose more effectively. The more efficiently you remove mucous, the more viral particles and bacteria you’ll be removing from your sinuses. Another remedy for clearing nasal passages involves using a neti pot. A neti pot holds a special solution, which you squirt into your nasal passages. Make the solution by combining 1/2 teaspoon of non-iodized salt, 1/8 teaspoon baking soda and 8 ounces of warm water. Squirt the prepared water into both nostrils and blow your nose gently to remove it. Continue squirting and blowing your nose until you use the entire mixture. Stress often compromises your immune system and makes it more difficult for your body to fight an infection. Reduce your schedule at the first sign of a cold to remove all sources of stress and anxiety. Spend time meditating when a cold hits to reduce both the severity and the duration of the infection. With a cold, your body has a variety of bacteria flowing through your system. Increase the amount of water you drink during a cold to help your body flush out the toxic bacteria more quickly. 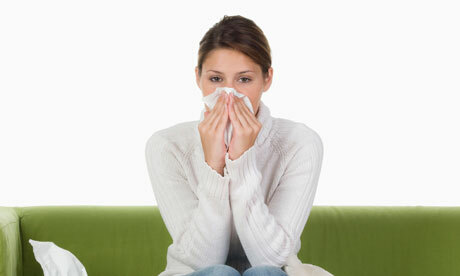 Some experts believe that you can reduce the severity and duration of a cold by taking vitamins. Take a Vitamin C supplement to ensure that you consume the recommended daily allowance during a cold. Vitamin D may also prove effective for lessening the severity of a cold. Take between 800 and 1,000 IU of Vitamin D, especially during the fall and winter, to help your body fight off common cold bacteria. Probiotics contribute to overall health and vitality. When the first cold symptoms hit, begin taking probiotic supplements. In general, people who take probiotics while sick with a cold will have less severe symptoms for a shorter time. Raw garlic has antiviral and antimicrobial properties, which make it an effective tool for fighting off infections. For the most powerful punch, crush a clove of garlic and add it to a fresh salad. Raw apple cider vinegar contains minerals, enzymes and beneficial bacteria, which can strengthen your immune system and fight infection. Use apple cider vinegar to loosen mucous, fight infection and soothe a sore throat. Mix 1 tablespoon apple cider vinegar, 1 tablespoon honey and 8 ounces of warm water to make a cold-fighting tea. Drink this tea twice a day to treat cold symptoms. If you have a sore throat, combine ¼ cup warm water and ¼ cup apple cider vinegar. Gargle with the mixture until it’s gone. Repeat the process three or four times a day to treat your sore throat. When upper respiratory symptoms hit and you’re becoming miserable, treat the symptoms with three drops of hydrogen peroxide in each ear. Allow the liquid to bubble in your ears for about 10 minutes and then drain out the fluid into a tissue. Repeat the hydrogen peroxide administration every four hours during the first day and night of the cold and you should notice reduced symptoms quickly. Prioritize sleep when you come down with a cold so your body can rest and recover. A cold could even be a hint that you’re not sleeping enough, which may be compromising your immune system. You will probably find that you are more tired when you have a cold, so by giving in to the tiredness and sleeping, you will recover more quickly. While you rest and sleep, your body can fight off the bacteria more effectively. If you’re an avid exerciser, it may feel strange to forego exercise. Your body will thank you for the break, though. Engaging in intense exercise during a cold could even prolong your symptoms. By avoiding intense exercise for a few days, your body can channel the energy you’d use for exercise into getting well again. If you absolutely need to perform some activity, try a moderate walk for about 30 minutes. The fresh air might help you feel better, too. By listening to your body and using tools for optimal bacteria fighting, you should conquer the cold and feel better quickly.